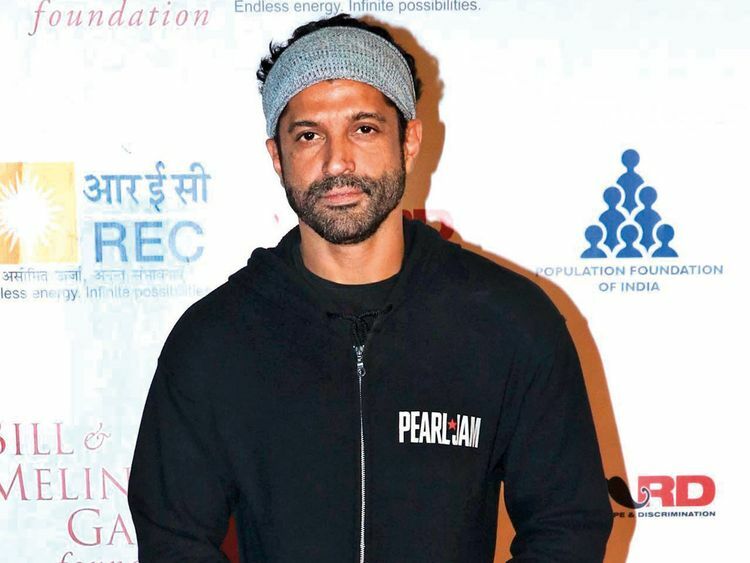 Actor and singer Farhan Akhtar has released his first solo music album titled ‘Echoes’, produced by Grammy Award-winning Italian producer Tommaso Colliva. “As a creative individual, I want to write more songs, tell more stories and perform with the hope that more people will feel inspired and come out with their creative ideas. I am always open to collaboration and think that’s also a way of supporting other artistes,” said Akhtar, son of poet and screenplay writer Javed Akhtar. Akhtar took around three years to write the 13 songs of the album ‘Echoes’, which was recorded in Milan. Three songs — ‘Pain or Pleasure’, ‘Why Couldn’t It Be Me’ and ‘Rearview Mirror’ — from the album were released online. The song ‘Why Couldn’t It Be Me’ was the result of the terrorist attack at a military school in Peshawar in 2014. On the story behind ‘Pain or Pleasure’, Akhtar said: “That song came from a personal space. At times in a relationship, feeling love for someone can get toxic. At times we really try to hang on to something that is really not there and you realise that healthy thing is to move on. On the movie front, Akhtar will next be seen opposite Priyanka Chopra Jonas in ‘The Sky Is Pink’, which will release in October.